Prime Minister Narendra Modi had a non-stop schedule at all times, even as he crisscrossed the country, holding Lok Sabha election rallies during the nine-day festival of Navratras. Navratra, the nine-day festival, began on April 6 and ends today. Imphal to Junagarh, Cooch Behar to Calicut - 13 states, 23 rallies, and 22,000 kilometres of travel. That sums up Prime Minister Narendra Modi's schedule this Navratra. A simple listing of the states visited in the Navratri period alone is quite revealing - Odisha, Chhattisgarh, Bengal, Tripura, Manipur, Maharashtra, Karnataka, Tamil Nadu, Gujarat, Goa, Bihar, Assam and Kerala. PM Modi is known to keep up a non-stop, hectic schedule at all times. That, in fact, is what his tenure of five years has become synonymous with. Unlike the case for most political leaders, the Prime Minister’s official work can never stop completely. There are always matters that demand immediate attention. 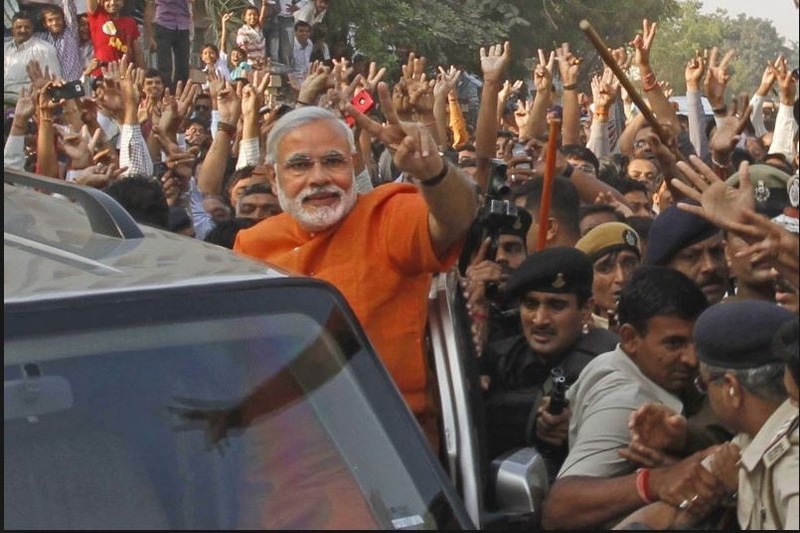 As a result, mostly, the Prime Minister would return to Delhi after a full day’s campaign of three to four rallies. Very often, Modi would go straight into crucial meetings, which would go on till the wee hours of the morning. After a short nap, it would be back to the campaign trail once again.